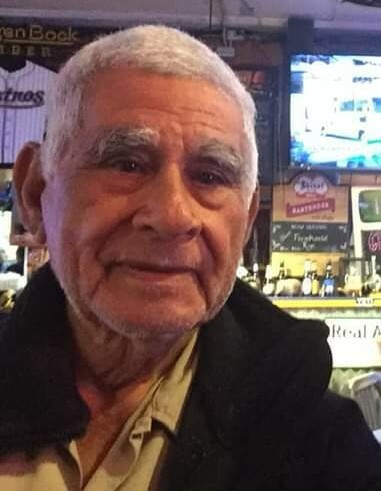 Salome P. Ramirez, 78, formerly of Beeville, died Sunday, Jan. 20, 2019, in Georgia. Mr. Ramirez was born March 9, 1940, in Petronilla to Andrea Perez and Jose M. Ramirez. He was retired and was a Pentecostal by faith. He was preceded in death by his long time companion, Lydia Ramirez; his parents; sisters, Corina Moreno, Rafeala Beltran and Sofia Martinez; a brother, Jesus Ramirez; and infant son, Jesus Ramirez. Visitation will be held from 5 to 9 p.m. Thursday, Jan. 24, at Treviño Funeral Home with a prayer service there at 7 o’clock. A chapel service will be conducted at 4 p.m. Friday, Jan. 25, at the funeral home. Burial will follow at Evangelico Cemetery. Pallbearers will be Ian Ramirez, Ruben Ramirez Jr., Joshia Ramirez, Trinidad Ramon, Daniel Ramon and Jack Pizano.